I am looking for a way to add MGRS custom Coordinate Reference System to QGIS. How do I get the Proj.4 cartographic parameters for Military Grid Reference System (MGRS) to add via Settings >> Custom CRS? Browse other questions tagged qgis coordinate-system proj mgrs or ask your own question. Manually configuring coordinate reference system of QGIS? Converting PLUTO coordinate reference system in QGIS? MGRS(Military Grid Reference System) reverse geocode in ArcMap? 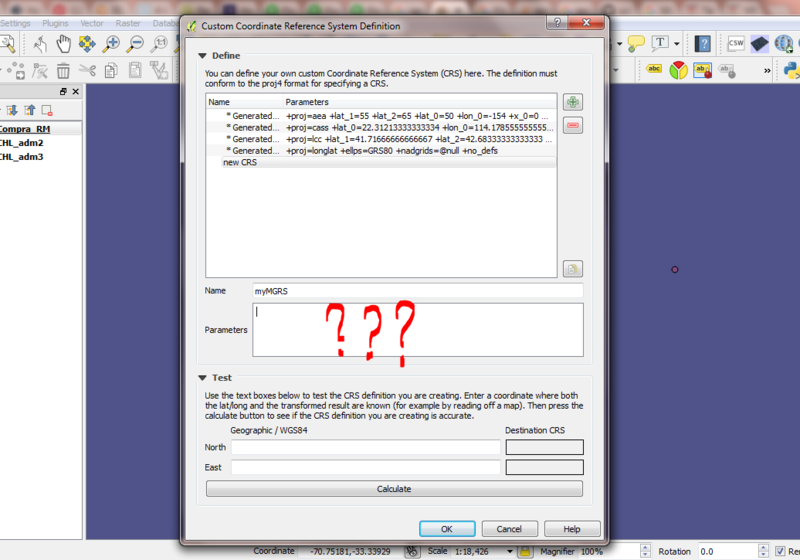 Why is my Custom CRS undefined in QGIS?